Nothing beats spending time in the middle of nature, and we all know it. Unfortunately, our modern way of living sometimes prevents us from enjoying physical exercise as our ancestors used to. 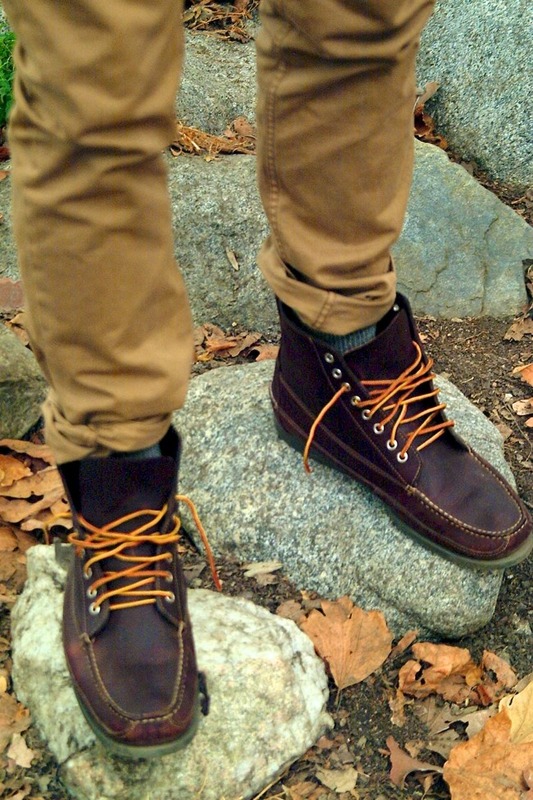 Hiking can get us closer to our roots. If you have a buddy that’s into trekking and hiking and would like to make him or her a nice surprise, perhaps you should take the time to consider the following suggestions. Many of these choices are functional, convenient, easy to wear or carry, and can provide the means of survival even when the weather is scorching. 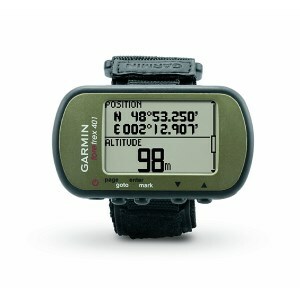 The product comes with a high-sensitivity receiver, which makes the GPS better for users who seek for improved performance, especially while following a harder trek. The receiver allows the item to receive good reception even in areas that are covered with dense forests or inside of deep canyons. Additionally, the item supports dual position readout, which allows users to see their location from multiple perspectives. The product also allows its users to keep track of their routes, as well as to continually monitor their heart rate and make sure that they are not overworking themselves through a heart rate monitor that can be sold separately. This item gained the Time Magazine Invention of the Year contest, due to its importance when it comes to being prepared with the ultimate survival kit in your expedition. 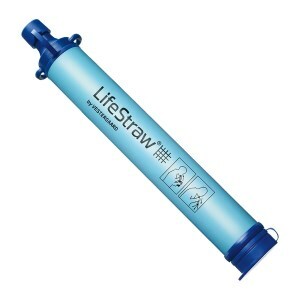 The unit features high flow rate, and it can be easily packed for camping, backpacking or even hiking, without any additional requirements. The water filter innovates through its capacity to meet the EPA standards for water filtration, managing to remove 99.9999% of the bacteria from the water. As part of the testing period, the model was used in many extreme conditions on the globe, providing its users with clean drinking water, with no exception. The charger is designed with outdoor trips in minds, ranging from RV camping to hiking, in order to boost its charging performance when in contact with solar power. This feature translates to a longer battery life, more suitable for trips during which you take numerous gadgets with you. 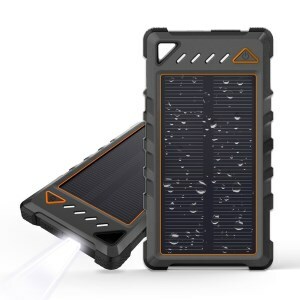 The construction of the solar phone charger is sturdy, making it sustainable to be carried around without the possibility of it breaking because of hazardous packing or other accidents. The portable design makes it compact enough so that users can carry it without experiencing difficulties, even when it comes to hiking or backpacking trips. The hydration backpack is perfect for people who go camping or hiking, as well as for those who go biking on a regular basis. During their outdoor activities, sports enthusiasts can stay hydrated through the jam-packed backpack with all the necessary features that an adventure could possibly need. 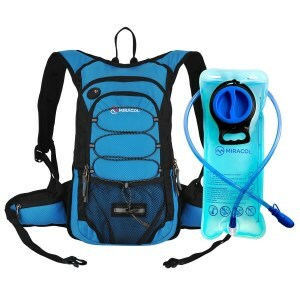 The backpack can provide cold water for at least 4 hours of travel, which makes it a great companion on summer days or strenuous mountain treks. The inside thermal insulation keeps the user hydrated, while the phone can also be kept safely inside the bag, should you wish to listen to music during the trip. 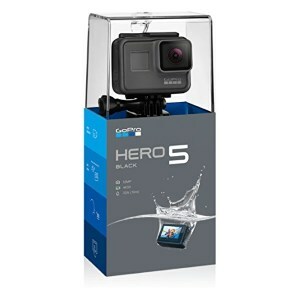 A good GoPro is any man’s best friend, not only because it allows your friends to get a first-person view of the times you spent on holiday, but also because it records the moments from a personal point of view, allowing you to remember and relive good moments from your trips. The great 4k imaging and the 12MP photos are available in burst, single and time-lapse modes. The gadget is durable and is waterproof, with the capacity to provide users with the possibility to record their experiences accurately and unedited, supporting both curved and flat adhesive mount. Lots of people have become fond of hiking and that is a wonderful choice for making life more fun, interesting and filled with confidence. However, that puts other people in a difficulty when it comes to choosing the right gift for these fun-loving individuals. If you’re having problems with picking the best gifts for hikers, then you’re not the only one. We usually buy gifts that match a home or the routine of urban everyday life. But since hikers enjoy nature and roofless life, the usual choices don’t apply. You’ll have to put yourself in their shoes, or should I say hiking boots, and manage to come up with something suitable. If you want to buy awesome gifts for hikers you have to take the matter into your own hands, so you can be sure you get it right. You’re the only one that knows or is in a position to find out what your hiker friend has and what he or she doesn’t. Your decisions will also be based on the age or gender of that particular person, and you ought to also consider their personal style and taste. The hiking style is very important, so don’t overlook this factor. We found the right gifts for our hiker friends by carefully considering their needs, expectations and the likely difficulties that they would encounter. We rock at choosing presents because we’ve efficiently organized our ideas and we’re going to share with you some of the main elements that will make your gift a success. There’s more to hiking than just walking. There are plenty of ways to do it in a variety of environments, so you can find unique gifts for hikers based on how they prefer to manage their hobby. We’ll give you some clues and outline the importance of this in a few lines. Depending on their physical abilities, preferences, climate, season and trail, you’ll have to deal with a person who favors one of the following types of hikes. There’s the day hiking, the base camping, the section hiking and the thru-hiking. That covers it all. Oh, and then there’s the social hiker, who goes hiking with a partner or a team, and then there’s the solo hiker who obviously prefers his or her own company. Besides, there are overnight backpacking trips, actual night hiking, snowshoeing or winter hiking, dog hiking, mountaineering (which is rock climbing or snow and ice climbing), canyoneering and coasteering and desert hiking. Some are for following trails, and some are off-trail; some are closer to a walk in the park, like day hiking, while others are closer to extreme sports in disguise, like mixing rocky and icy mountaineering. That covers most of it. As you can imagine, all of these hikes ask for a certain set of skills as well as adequate equipment. That’s why it’s important to know what your hiker friends are up to and make it easier for you to pick a gift for them. When the hike changes scenery and lasts for longer, there are many things to consider. A hiker will need more food and a place to sleep if he decides to take things to the next level. And these are just the basics, condensed in a couple of words. If your favorite hiker enjoys short trips on pleasant well-known trails, there’s a probability he won’t be needing much. A nice backpack and a water bottle will be enough for a day hike, so that’s just what you could get for them. If the hiking lover you’re about to buy a present for is into thru-hiking, a lightweight backpack and tough shoes are essential and he or she will probably need a tent, a sleeping bag or pad, mugs, spoon, a camping stove, toiletry and a survival kit. Not to mention insulating layers for most of the things he/she wears. Night hikers will definitely need a headlamp or flashlights. Otherwise, they could just as well walk blindfolded around the room; mountaineering could require some trekking poles and snowshoes, ice axes and other accessories. Some of the items required overlap in many cases, and having them all is a good preparation for the following hiking trip, no matter what that will be like. 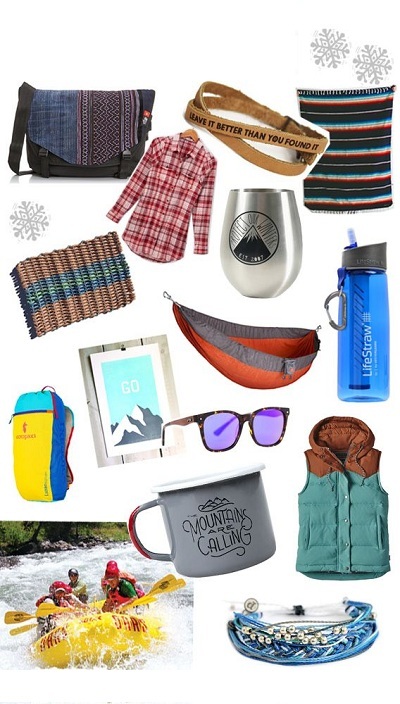 Offering a sleeping bag or a hammock is rarely disappointing. The longer the hiking trip, the more gear, and apparel are needed. That also means there is a larger range of products you get to choose from. As you could notice, there are plenty of items that one could miss. Making a checklist of things that one would need is just as helpful for the one who wants to make gifts for walkers and hikers as it is useful for the person in question. This method is likely to get you where you want, as long as you have some inside knowledge about what the person owns. On the other hand, there are things you could buy without checking his/her closet. A compass, sunglasses, binoculars or pocket knives are always a safe bet. Good gifts for hikers have a set of features that shouldn’t be ignored. If you get them right, you’ll make everyone happy. The items you choose have to be lightweight so that the backpack is easier to carry. Walking for long miles on difficult terrain can be so frustrating when you pack too many pounds that beginners often get rid of some of their supplies just to keep on schedule. Staying dry is a constant challenge because rain and snow are never far away. Unless the hiker we’re referring to wants to go desert trekking, waterproof products are really important and often the main ingredient of the cool gifts for hikers you were looking for. Select durable material, preferably aluminum, composites and synthetic fabric that are designed to last for many expeditions. Engineered to face strong winds, torque, rock abrasion and temperature differences, they’ll give hikers an edge.